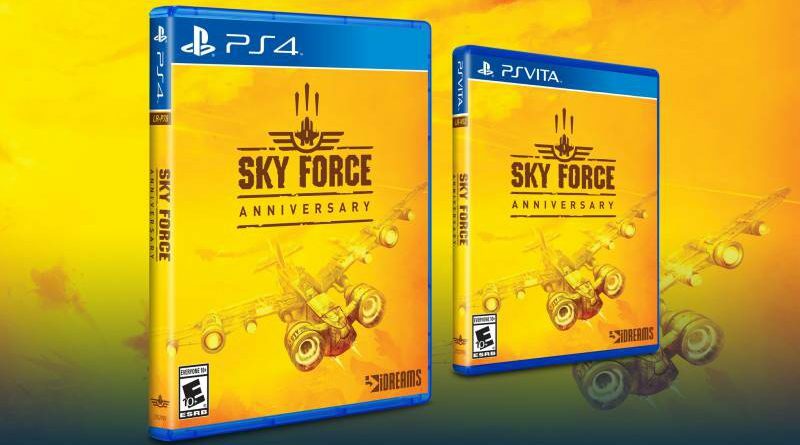 Limited Run Games has announced that Sky Force Anniversary will get a physical release for PS Vita and PS4 on January 26, 2018. Sky Force Anniversary preserves the old school, arcade shooter feeling of the original Sky Force and adds what everybody expects from a modern shmup: highly-polished graphics, new game modes and tons of replayability. The game features an extensive Single Player campaign where players’ main objective is to save the world from General Mantis – the deceitful leader of evil forces. In order to defeat him, gamers will have to blast through hordes of enemies, collect funds, rescue civilians and constantly enhance their ship with new, devastating power-ups. Sky Force Anniversary allows players to choose between various types of weapons, passive skills and power-ups, starting from the impenetrable magnetic shield and ending with the mighty mega-bomb that annihilates all visible enemies with a huge blast.